A man accused of murdering a mother-of-two was found hanged in his prison cell, an inquest heard. John Wright was on remand at HMP Bullingdon after being accused of strangling Janine Bowater in Thatcham, Berkshire, on 12 December 2017. The court heard he told a health worker it was a "case of when, not if" he was going to kill himself before he arrived at the Oxfordshire prison. He was pronounced dead on 15 December and a jury gave a narrative conclusion. The jury's forewoman said they believed it was Mr Wright's "intention to end his own life". The inquest heard the 32-year-old's observation status was "downgraded" from "constant watch" to twice an hour. The jury said the decision was taken "without due consideration to the information provided". The forewoman added had all information on the suspect been communicated, it would have "assisted the staff in their decision making around the level of observation required". The jury also found the decision to downgrade the observation level was "compounded" by "inconsistencies" and "inaccuracies" in the sharing of information. 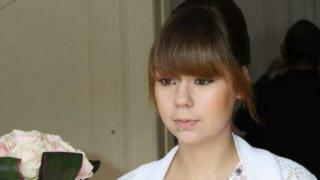 Prison officer Emma Richards told the inquest she had not been aware of Mr Wright's comments about taking his own life. But she added had she known about them a decision "would have been potentially altered". Mr Wright, of The Hollands, Thatcham, Berkshire, had been due to appear at Reading Crown Court on the day he died. Coroner Darren Salter said the information about Mr Wright stating he wanted to kill himself was "precisely the information that should not be allowed to fall through the gap." A post mortem established Mr Wright's cause of death as compressions of the neck, consistent with suspension.